Did I need tissues? Yes, of course I did, its a Felice Stevens book after all. 🙂 But they were happy tears-mostly. Reading this was all about revisiting with old friends, Alex and Rafe, Micah and Josh, their combined families, as well as meeting new friends, Jude and the little boy that captures the heart of the family. What I enjoyed most was not just revisiting with them, but finding new places for these men to go in their lives. Alex was so determined to keep pushing the idea of a child aside, and yet fate, despite all of Alex’s grumblings, stepped in and took over. With his residency, and his fears, the only way to get through to him was to just have fate decide for him. I liked that it wasn’t a quick fix, or even a quick timeframe for these men to fall in love with this little boy. Felice didn’t make this happen in three days of (book) time. There was time written in, outings that happened, and even just hanging out, and learning to love each other as a family. “Are you asking me to walk away from it?” Sometimes in the night he’d wake up and ask himself if it was worth it, so he understood Rafe’s concern. But then he remembered Seth’s words, inscribed in his heart—if you give up, maybe that one person whose life you can help won’t make it because you aren’t there. And that meant everything was worthwhile. His greatest fear, the one that prevented him from adopting a child and giving Rafe that family unit was losing his joy and becoming bitter and disillusioned, like so many others. Without answering, Rafe took his hand and led him to the sofa where they sat down together, legs entwined. 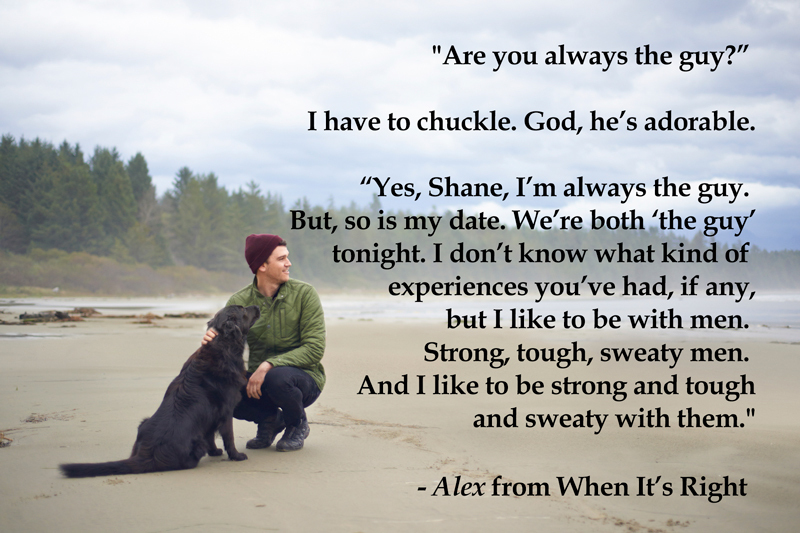 Alex needed this validation from Rafe, the person he loved beyond anything to ground him. While this residency was brutal emotionally, the rewards it reaped were worth the toil and he’d gladly give of himself if it helped his patients. He needed to know that Rafe wouldn’t give up on him and their marriage. There was a sense of peace wrapping his arms around Rafe to hold him close; something special and wondrous in being secluded from the rest of the world with the one person who understood and never judged him, who merely loved and provided a warm and safe harbor to return home to every time.